X-kit Achieve supports high school learners to reach their goals and achieve the best results they possibly can! 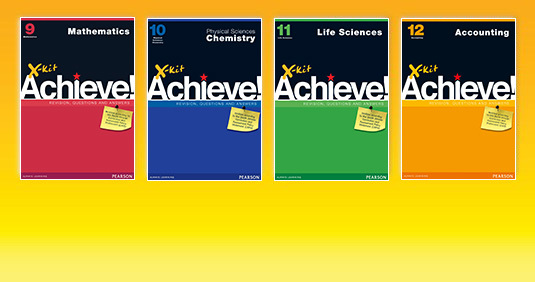 Written by expert teachers, X-kit Achieve offers a wide range of study resources to make learning, understanding, revising and practising for tests and exams easy. 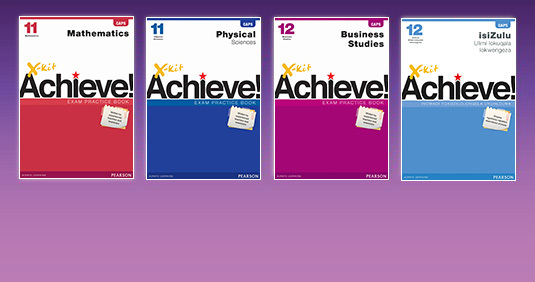 X-kit Achieve Study Guides help you throughout the year to learn, understand, revise and practise for tests and exams. By completing the exam papers in the X-kit Achieve Exam Practice Books, you will certainly be exam-ready. 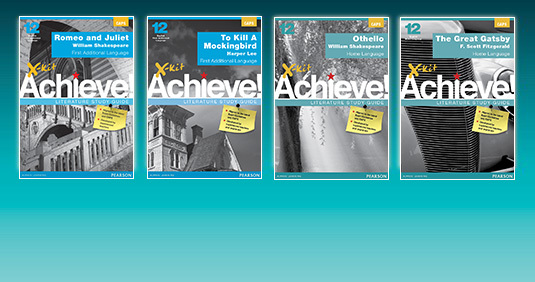 X-kit Achieve Literature Study Guides help you understand, learn and practise for your literature tests and exams. X-kit Achieve Workbooks help Grade 8 and 9 learners to practise and apply their skills, improving their results. Available for a range of subjects from Grade 8 to 12.